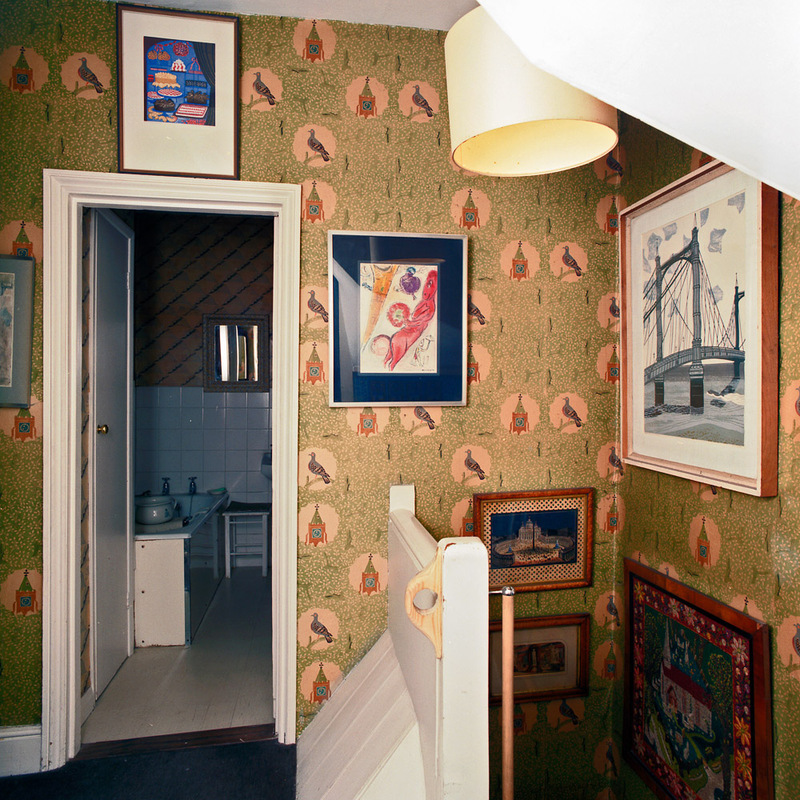 In 1989, I was fortunate to be asked to record the interior of the artist Edward Bawden’s house in Saffron Walden, Essex, shortly after his death, by Olive Cook, a close friend of Bawden. I spent the best part of a sunny December day there, lighting and recording an interior which featured much of his work and that of his late wife, the potter Charlotte Epton, as well as prints and artefacts by many other famous artists. The work was undertaken for The Fry Gallery, Saffron Walden, who hold a set of the prints as part of their extensive Bawden collection. They are regularly exhibited and have been used in books about Bawden and his work. Obviously these were all shot on film in 1989, and it’s interesting to reflect on the way that digital imaging has almost ‘dumbed down’ the whole process of picture-making in such circumstances. These all had to be lit carefully (using large studio strobes) and the Hasselblad camera aligned to ensure that verticals remained vertical – there was no easy method of correcting that afterwards. Exposure had to be accurate and the colour needed to be also – to ensure that records of his art and wallpapers were accurately portrayed. I made Polaroids of each shot prior to exposing the film, to make sure that all was ‘just so’. I also recorded each view on black and white film by swapping backs on the camera for each shot. I made a colour reference of a Kodak colour chart for each key area I worked in. This could be used at the printing stage to ensure that colours remained true. The Polaroids were the only way of knowing if things were going to work out okay, and even then the films had to processed without error and prints made to the required standard. These days, my Nikon D800 could produce images that equal – if not exceed – the quality of Hasselblad film negatives. I have immediate feedback as to whether or not all is okay with lighting, exposure, etc. The built-in ‘horizon’ feature enables me to level the camera with ease. Magnified ‘Live View’ means that I can see exactly what I am recording, whether the focus and depth of field is accurate and whether or not stray reflections are a problem. Colour can be calibrated and corrected if necessary after exposure. Black and white versions can be made from the same files as the colour images. Yet when all is said and done, there is something about the ‘look’ of these old film images – even though they have been scanned and are reproduced yet again through the medium of a computer screen. It’s hard to define, but if I were to make digital images of the same subject alongside film there is a difference. Not always in film’s favour.